Mindfulness is for everybody, we all have habits that are not helpful. Are you Impatient? Anxious? In pain? Mindful awareness is a window into how habitual thoughts affect our life and our health. 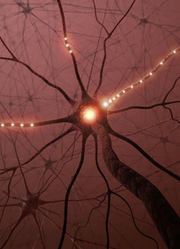 Neuroscientists say "neurons that fire together wire together". Our thoughts, for better or worse, flow through our mind, shape our brain, and influence our perception. Habitual thoughts form neural superhighways which become our mental/emotional patterns. We find ourselves repeating things we don't mean, behaving in ways we regret, chasing the same thoughts, even making difficult situations worse. Practicing mindfulness gives us the tools to be the person we want to be, and to respond intentionally to whatever happens. Got Anger? Try Naming It To Tame It-M. Doucleff - NPR, January, 2019- how naming, ("noting" or "labeling") can help calm anger. Proper Breathing Brings Better Health, Scientific American, January, 2019, a description of how specific breathing techniques can help with stress, insomnia, emotional regulation, and cardiac health. In a segment on 6o Minutes, journalist Anderson Cooper talks about his experience, and interviews MBSR founder, Jon Kabat-Zinn. The Joy of Being a Woman in Her 70's -by Mary Pipher- a great description of mindfulness , without using the word.